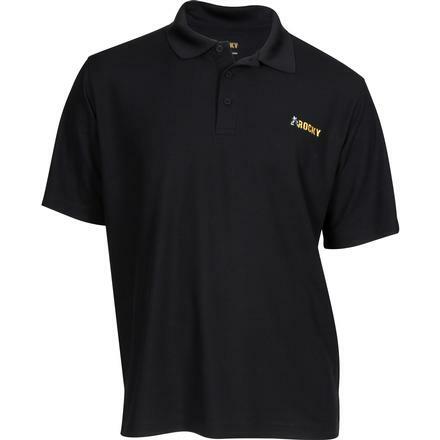 The Rocky® Logo Short-Sleeve Polo Shirt is a versatile shirt that is great for a casual office look or for pairing with jeans on your down time. The collar and three-button placket on the shirt take it up a notch beyond the uber-casual cotton t-shirt to something that can be worn in multiple situations. Quality material, a Rocky embroidered logo and a shirt-tail hem add to the polished look. This is a comfortable, easy-to-wear men's short-sleeve shirt that you'll reach for again and again.